Hppolice.gov.in : Himachal Police Official Recruitment board recently published advertisement to appoint total 1063 candidates for constable post. I don’t Know you have read an official notification or not but This vacancies are divided into total 3 categories. So it’s impossible for all the candidates to serve at single district. So as per size of the district and need of constable, HP Police recruitment board has divided vacancies for all the district. Here we have prepared the list of vacancy each district has provided with. As per officials of bharti board the education qualification and physical measurements are differs post wise. In another words, different post require different qualifications. work on below given table and you’ll understand the criteria. Now different height possesses different marks. If you have tall then you will get extra marks because of your more height. refer below given image published by hp constable bharti website for detailed overview. 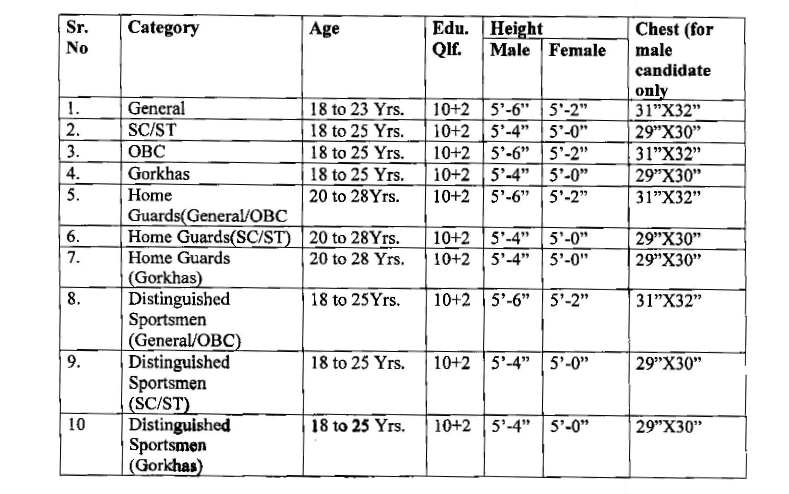 Marks for height will be rewarded as per following table. The Cutoff date for upper and lower age is 01.01.2019 (1st January 2019) for all categories. The candidates who do not meets the physical standards as mentioned above should not apply. Those appearing in 10+2 examination may also apply. However he/she will have to provide 10+2 examination qualification certificate at the time of personality test. Written Examination will be held in the respective districts, preferably on the same day for all the districts. Written examination will be of 80 marks of objective type of questions with 60 minutes duration. It will include questions of English & Hindi languages, General Awareness, Maths & Science and reasoning aptitude. The written examination shall be of 10+2 standard except Mathematics for which standard shall be of Matriculation. Personality test shall be consisting of 15 marks. Candidates will be called for Personality Test from amongst those who have qualified in the ratio of 3 person for each post. Before admitting a qualified candidate to the Personality Test all necessary and relevant documents (in original) copies of which have been uploaded while submitting online application form shall have to be produced by the candidates alongwith a set of photocopies. Only after the documents are duly scrutinized and found in order, a candidate shall be allowed to appear for personality test. Failure to submit original documents or any documents not found in order as required shall result in immediate disqualification of candidate. All the committee members will award marks to each candidate. Thereafter average of the marks awarded to a candidate (upto 2 decimal points) will be treated as marks awarded in the personality test. As well written examination, Physical Efficiency test or PET is also a compulsary to qualify in HP Police recruitment 2019. There’s Detailed information available in hppolice.gov.in website but you should read summery of the Efficiency Test for physical ability here. What’s The Difference between High Jump & Broad Jump in Himachal Pradesh Police Bharti ? In High jump you need to reach a maximum height while jumping in the air. In Broad Jump you need to cover maximum distance while jumping on the ground. How to fill up Online form of HP Police constable recruitment? Online form filling is as simple as simple as paper form filling. You just need to enter details in the official website of hp police constable (hppolice.gov.in) instead of paper form offline submission. Now Click On the online form filling section. Now select the post between constable male or female and driver. Now fillup your online form and submit otp and captcha in the verification process. You will Receive application number in the sms. Save it for future use. 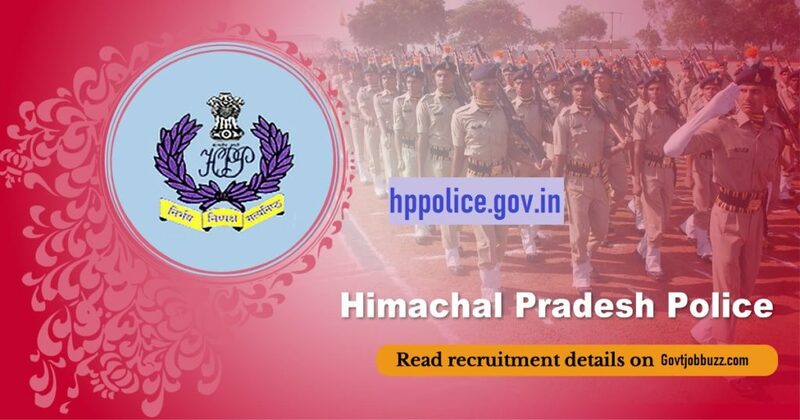 The official website for all the himachal police recruitment news is recruitment.hppolice.gov.in. Here you will find application form link, Official notification/advertisement link, Syllabus link and other dates related examination and results. You should bookmark recruitment hppolice gov in if you are applying for the constable recruitment 2019 because you will need these website for whole process. You can get direct news without any rumors from there. Also in future if Himachal pradesh Police force decide to conduct another post recruitment then you can get instant news of it. 3.1 Marks for height will be rewarded as per following table. 6.1 What’s The Difference between High Jump & Broad Jump in Himachal Pradesh Police Bharti ? 7 How to fill up Online form of HP Police constable recruitment?